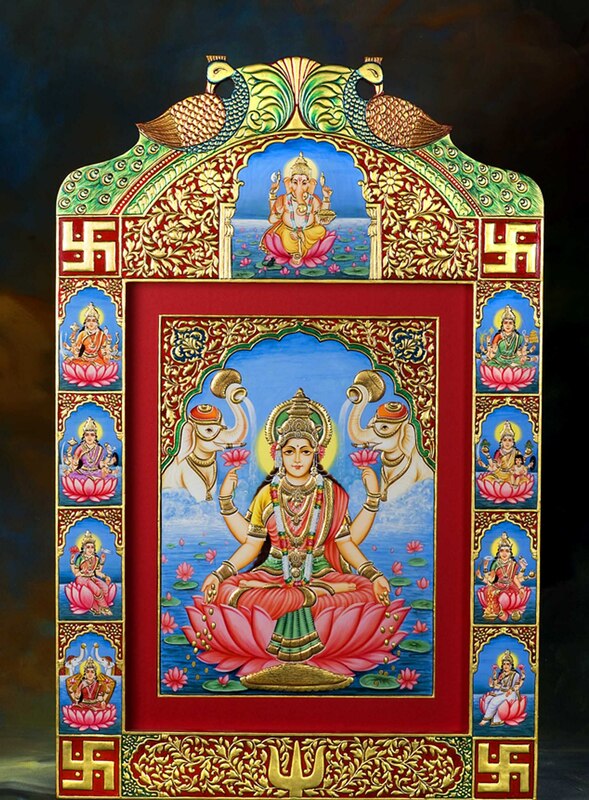 Eight Hindu goddesses known as the Ashta Lakshmi are worshiped together. Believed to bestow “Wealth”, these eight goddesses symbolize prosperity, good health, knowledge, strength, progeny, and power. The beautiful Ashta Lakshmi Frame crafted by the skilled craftsmen of Urja Utsav will last you for years to come because of the traditional 24 carat Gold leafing on it.